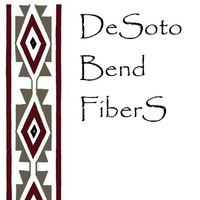 DeSoto Bend FiberS is a farm located in Fort Calhoun, Nebraska owned by Helga and Clark Fensterman. 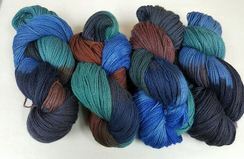 Born out of a love for natural fibers, we were drawn to alpacas because of the fantastically soft fleece they produce. We have been raising alpacas since 1998, have learned much from our gentle friends - and enjoy sharing this knowledge with those who come to visit. We moved to a small acreage in Nebraska, just a bit north of Omaha, in 1996. Our place is on a hill that looks out toward the Missouri River on the east, and toward the west into more rolling hills. While the Missouri is relatively tame now, in the 1800's navigating the river was a challenge. Each bend and curve of the river was named in the early days of settling this area, which helped the river boat captains pinpoint their location. We look out over 'DeSoto Bend' and that became the name of our farm.